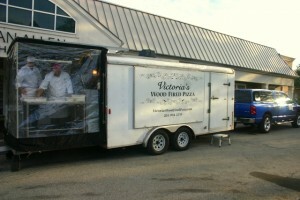 We bring our self contained pizza truck to your location. 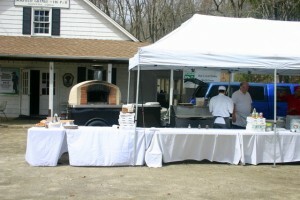 Most mobile pizza catering is from a pizza truck where the pizza makers stand on the ground outside the pizza truck, often exposed to the weather. Our self contained pizza truck allows us to work in almost any weather. So what happens if your special day gets stormy? 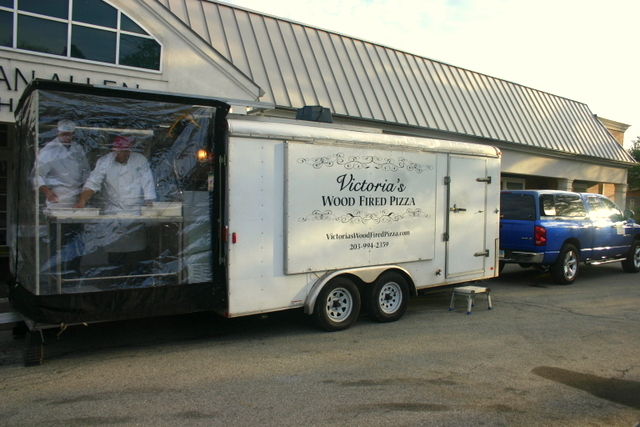 Our wood fired oven is contained within a trailer which can operate in almost any weather or health district. We have huge awning windows to allow your guests to watch the pizza action & the wood oven. If a storm comes, move the dining inside, we’ll keep baking. 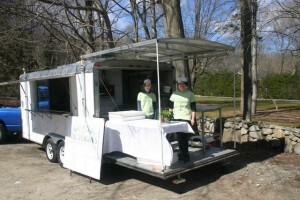 All of our food is contained in refrigerators, no ice baths.